As a dog owner, I’m sure you’ve heard of the dreaded kennel cough. 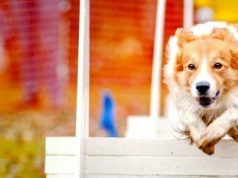 An annoying, hacking cough that can berate your dog after a trip to the groomer, dog park or boarding facility, kennel cough is an all too common illness in our pooch pals. 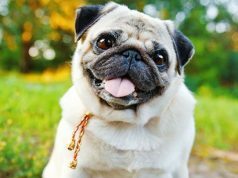 While kennel cough is very seldom serious, it can be a nagging issue, so let’s talk about some treatment and preventive measures we can take as pet owners. All causes of kennel cough are highly contagious and spread through respiratory secretions. This makes places with large numbers of dogs in close confinement the ideal breeding grounds. Places like the groomer, boarding facility, pet stores, and dog parks allow for easy and rapid spread of any of the infectious causes of kennel cough. The short answer is everybody. Dogs of all ages, breeds, sizes, and health status can come down with this nagging cough. However, younger animals like puppies under six months of age and debilitated animals are higher at risk. Also, any doggies that visit highly populated dog areas where they come in contact with lots of other furry friends are more likely to contract kennel cough. Kennel cough presents exactly like the name says, as a cough. The cough can be dry and hacking or moist and productive. 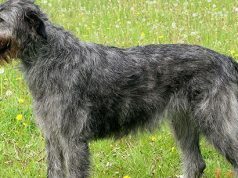 Most infected dogs won’t show any other signs and will continue to eat and drink normally, be active and have no fever. Call your veterinarian if your dog has more severe signs and symptoms, like, depression, lethargy, loss of appetite and fever. The cough can be easily elicited or brought on by a gentle pull on the collar or by applying gentle pressure on the trachea. The cough is also more likely to occur after excitement or exercise. 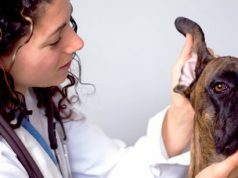 Veterinarians can usually diagnose kennel cough with an examination of the throat and by listening to the heart and lungs. With the more severe cases, it is sometimes necessary to perform what is called a tracheal wash where a sample of airway mucus is taken to determine the exact cause. 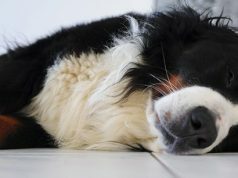 What Can be Done About Kennel Cough? Treatment of kennel cough usually consists of a course of antibiotics, mainly amoxicillin/clavulanic acid or doxycycline. More severe cases may need stronger antibiotics such as gentamicin. It is sometimes beneficial to treat with a cough suppressant such as Robitussin in order to help decrease inflammation in the throat. Anti-inflammatories may be needed as well depending on the degree of swelling and redness in the throat. With very severe cases, bronchodilators may be called for to help open the airways and allow for easier breathing. Severe cases may also need nursing care such as fluids and hospitalization depending on the degree of severity. Kennel cough is most easily prevented by taking a few simple precautions. The most important would be to avoid areas where your dog will come in close contact with other dogs, especially stranger dogs to your buddy. Only socialize with healthy critters in clean, well-ventilated environments. 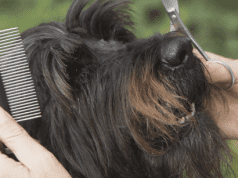 Know where your pooch is boarding and grooming. Make sure these places are clean and don’t allow interactions of healthy dogs with ill ones. Also, it’s important that a dog with kennel cough is not allowed to socialize with other dogs. Isolate him for 10-14 days, until the disease has run its course and then disinfect all areas, bedding, etc. Any common disinfectant will work; just make sure to clean all areas that may have contacted respiratory droplets. Finally, vaccines may help protect your dog from kennel cough. Vaccinations come in a couple different forms, injectable and intranasal. There is some question as to the efficacy of these vaccinations, however. The vaccines only protect against certain pathogens. Since kennel cough can be caused by such a large number of different bugs, the vaccines cannot protect against them all. The most common vaccines contain protection against Bordetella and usually canine parainfluenza virus. Also, I have seen the intranasal vaccine actually cause sinus infections that required treatment with antibiotics. 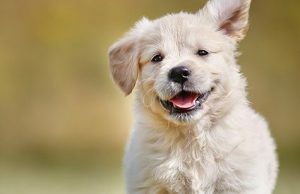 When it comes to deciding to vaccinate against kennel cough or not, it’s best for you and your veterinarian to weigh your options and decide on an individual dog basis. It might be in your best interest to vaccinate young and old animals, but maybe not the ones in between. Also, consider each pet’s risk. 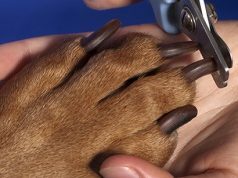 If your dog doesn’t visit a groomer or boarding facility and is rarely with unknown dogs, he probably doesn’t need the vaccination. It’s important to know your facility. Some grooming and boarding facilities require a kennel cough vaccination. 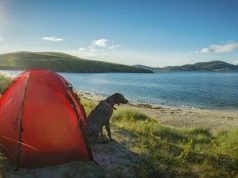 Also, if you are traveling with your pooch, a vaccination may be in your best interest. Again, talk it over with your veterinarian to determine the best plan of action. Kennel cough is a common, usually mild, but annoying illness that your pups can get. It is easily spread among groups of dogs associating with each other in close contact. The illness is usually easily treated and straightforward except in severe cases. It is best to prevent kennel cough by keeping your dog’s environment clean and knowing who he’s socializing with. Treats can be an important part of your puppy’s growing experience. If used properly, they can help with training, teething and starting that lifelong bond that you will share for years to come.